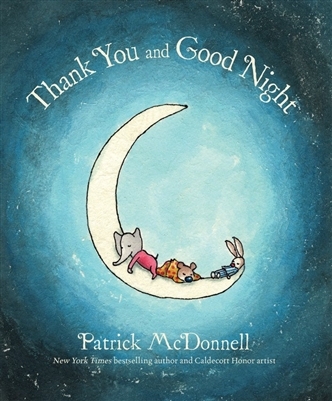 An homage to classic bedtime stories and their creators, from a Caldecott Honor recipient and bestselling artist. Patrick McDonnell's first bedtime book captures the magic of a sleepover with friends, and reminds us to cherish life's simplest pleasures. During a fun pajama party, three animal friends dance and play, but at last everyone is getting sleepy. Is it time for bed yet? Not before taking the time to say thank you for the day, the night, and good friends.